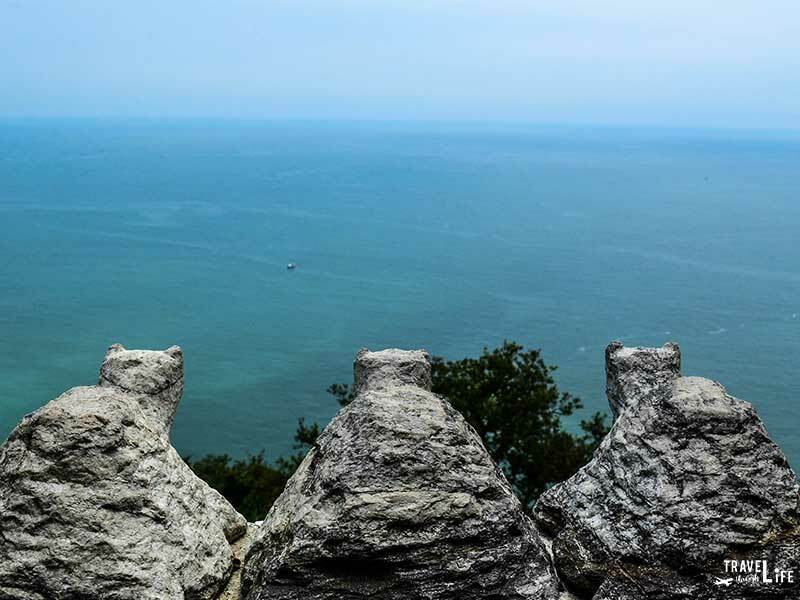 Hyangiram Buddhist Hermitage on Dolsan Island, Yeosu is one of the best ways to get out and enjoy coastal South Korea and South Jeolla Province. Honestly, how can you go wrong in this part of the country? Beaches, Mountains, and mild weather makes for a nice atmosphere throughout the year. Hyangiram tops them all, though and let me walk you through this wonderful slice of heaven. 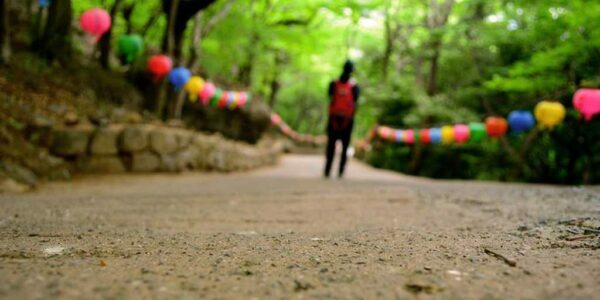 Hyangiram also appeared in our feature on Spring Things to Do in South Korea. Also, here are some places to stay in nearby Yeosu if you’re hoping to have an entire day at Hyangiram. From Yeosu’s Intercity Bus Terminal, Cross the Street and Catch Buses 111 or 113 to the Impo (임포 (향일암)) Bus Stop. This is the final stop on the route. Get off the best and walk 100m with the ocean on your left side. At the GS 25 convenience store, turn right and follow the road upward. It’s a steep walk but not too far. Take a right after 3 blocks. The entrance to Hyangiram (향일암) is located 50m ahead on the left and preceded by a ticket booth. Taking a bus from Yeosu to the nearby island, Dolsan, brings us all the way down to Hyangiram. It’s quite a popular place and full of locals planning to spend their Saturdays or Holidays—New Year’s Sunrise especially—with family and friends against the scenery and sea. 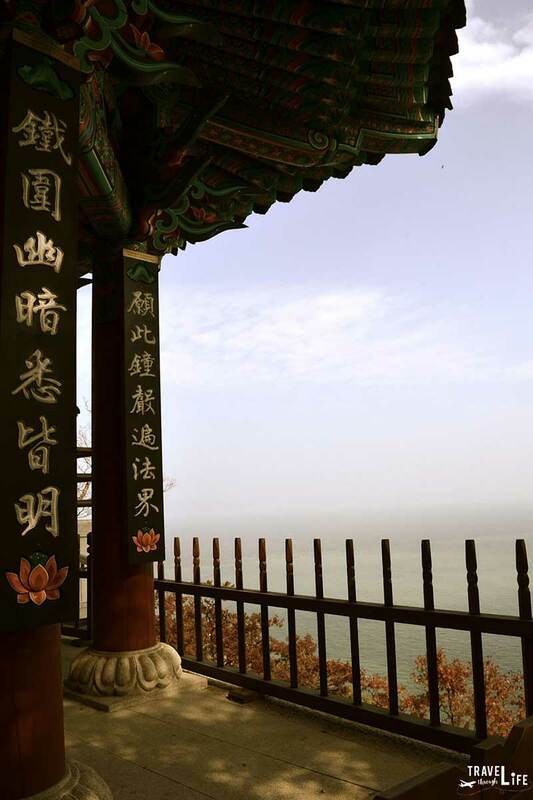 The site was established in 644 AD as Wontongnam and even has ties to Admiral Yi Sun Shin, with Buddhist Monks from Hyangiram joining his ranks to fight against the invading Japanese. On the way down, a rookie error left us without enough bus fare in small bills. Anyway, the nice driver let it slide for the trip even after I pleaded with him to let me pay. On the Korean Acts of Kindness tally, I’ve lost count so this one just goes into the pile. 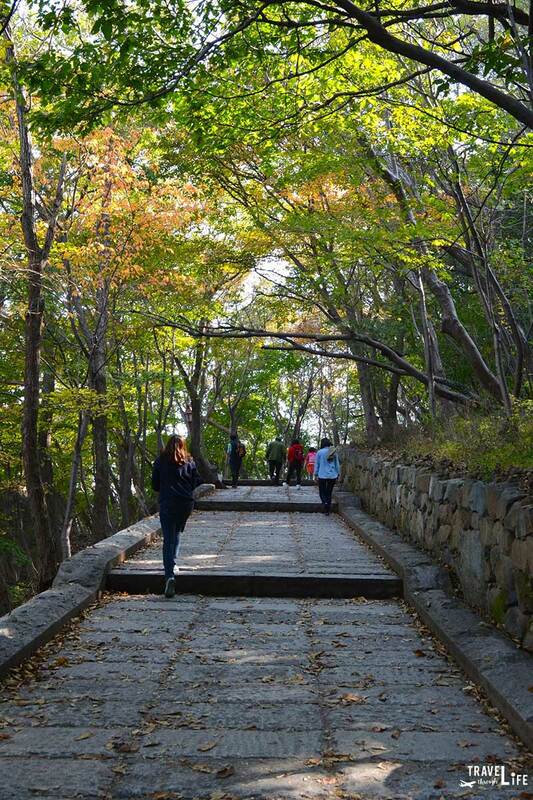 Hyangiram is beautiful in fall but New Year’s there makes it ones of the top things to do for winter in Korea. 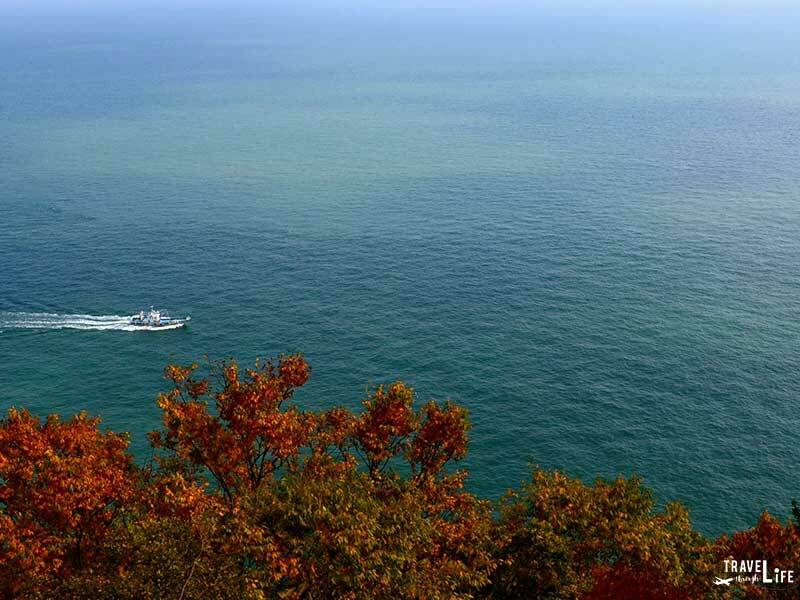 I loved living in Yeosu (and Korea, too!) and our visit to Hyangiram was one of the first times where I was able to slow down and just enjoy the scenes. Christina always says that it’s not the destination but the journey which is important. This is the first time in 2+ months where I listen to her and understand that phrase for its full meaning. After spending some time walking around the hermitage that basically sits below a peak, we sat and talked for a bit while admiring the wonderful view. We then head down the mountain for some seafood pajeon and that lovely drink we’ve found to accompany leisure time—dong dong ju. There are tons of shops offering gat kimchi, but also delicious food like the aforementioned seafood pajeon. Hyangiram is really an awesome place and we hope you get to see it in person someday. Already have? What did you think of the place? Either way, if you’ve got something to say, we’d love to read your thoughts in the comments section below! This travel guide is part of our series on South Korea Travel and East Asia Travel. It was originally created on November 3, 2013. It has been maintained and updated (as of December 28, 2018) to reflect current viewpoints and travel trends.